We have had a busy few weeks which has included the above competitions – they have mainly been successful with the odd disappointment! Sheepgate Premier League managed to stay fairly dry although the fields were already so wet the stables got quite muddy and some lorrys had to be towed out but nevertheless as always the Sheepgate Team held an excellent show! 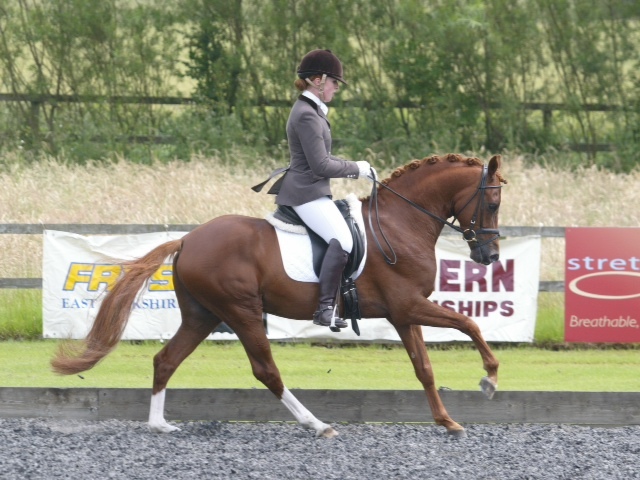 Becky won the Inter 1 riding Emma Gallagher’s ‘Andy on 70.57% and came 4th in the PSG on 68.33% – Emma did very well on Andy too coming 7th with 65.75% in the Inter 1 on the second day. 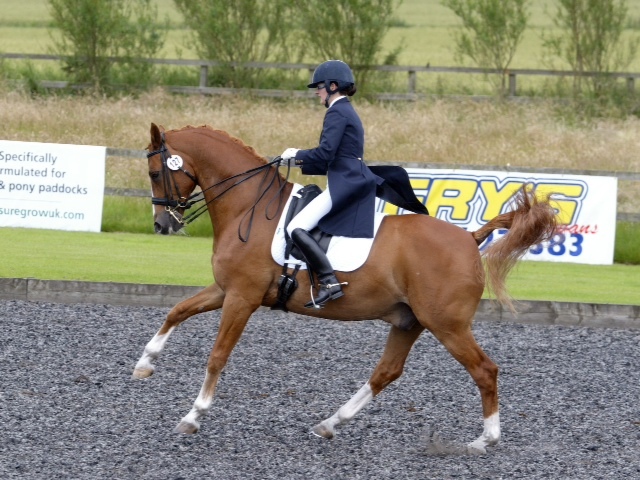 Becky also had a good show riding both Julie Lockey’s Wallenstein and Caluna in the GrandPrix gaining consistent scores of 65.25% & 65% on the first day and Caluna gaining 67.77% on the second day to get 4th place and Wally with 65.57% to get 7th place. 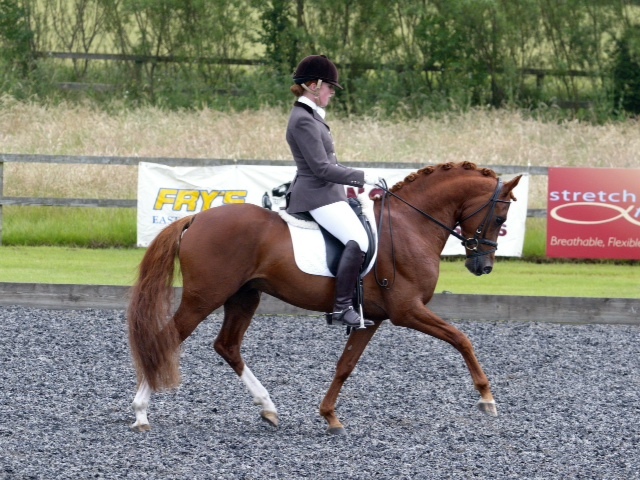 Becky then went on to ride Nikki Moxon’s Renoir in the 4yr old YH Class where they came 2nd with 77.6% and Heidi Hutchinson’s De Ja Vu (Louis) in the 5yr old YH Class where they came 7th which was excellent for Louis’ first show! 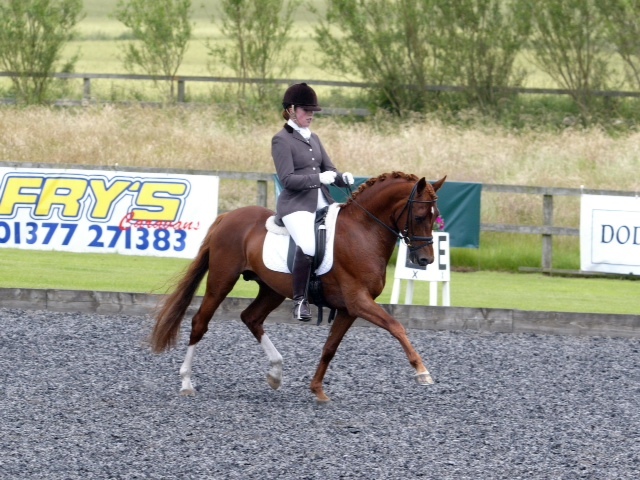 Kelly also competed in the 5yr old YH Class on her own Chaim T (Slim) bought from Julie of course! 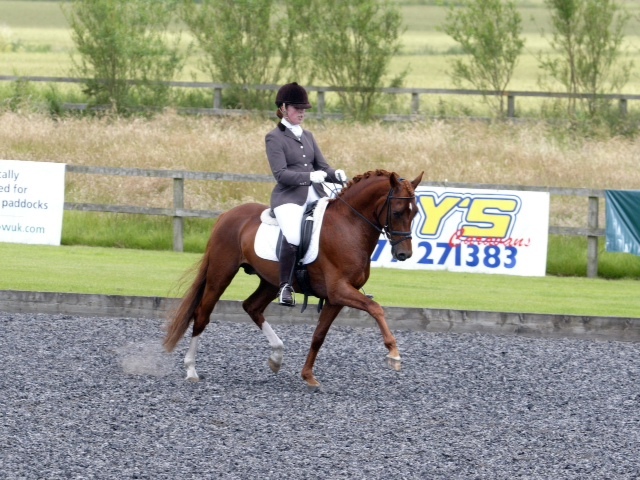 and they scored a brilliant 73.6% to gain 5th place in a very big YH Class. 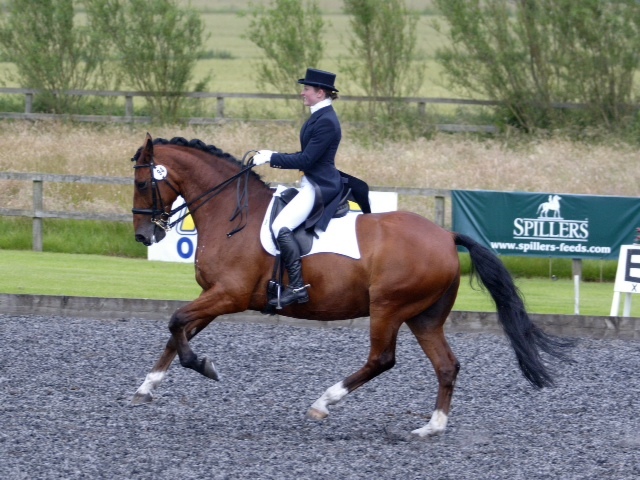 Pip Corbett also had a great show winning the Advanced Medium Restricted Regional with 66.32% on Julie Lockey’s Sea Sapphire Dance (Reg) also qualifying for the Nationals – Well Done! Jack & Grace looking incredibly posh!